Jeff Sberna, from Bellevue, could not find a tillage tool that went deep enough for him, especially with the limited horsepower he had available. He went to work to create a piece of equipment that would do the job and the Chisel Ripper was born. The efficient machine Sberna fabricated shatters soils from 13-inches to 15-inches deep with only 20 to 25 horsepower per shank, depending on the soil conditions, at speeds in excess of eight miles per hour. The unique design of Sberna’s Chisel Ripper leaves firm dirt on either side of the deep rips. At the same time, residue is aerated and mixed with the top three to four inches of the soil. The idea began to take shape on one of his days spent sifting through retired equipment. a lifetime warranty from Bellota Agrisolutions. As an option, the Chisel Ripper can be equipped with hydraulic gauge wheels for 110 to 125 horsepower tractors. “We added some Danish tines and we added heavy duty vibro tines that work really nice. I staggered in the vibro tines in the middle of it so the trash can flow through,” he said. The question he gets most often, is what makes the Chisel Ripper different from tillage equipment that’s already on the market? In between, he wanted to work the soil. He also had compaction in mind when he created the design. 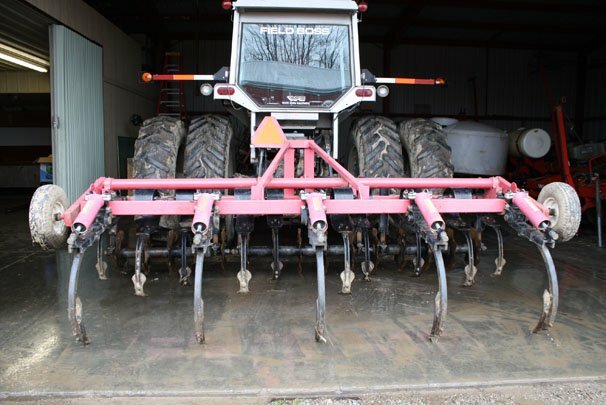 The end result is an efficient, fast moving tillage tool that can be a good fit for large or small farms using tillage systems across the spectrum. 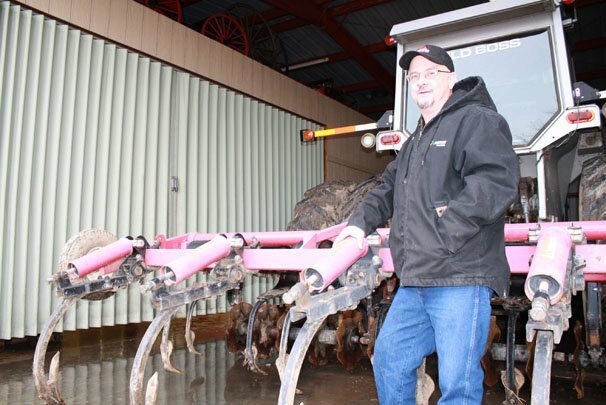 “In some areas we use one pass, in corn stalks we usually go two or three passes. The guys that are using the v-rippers need 450 horsepower to pull them. I am getting the depth without that horsepower. Right now we have a 12-footer, but I have been talking about designing a 36-footer too,” he said. “This is a whole different concept in vertical tillage. I have this up to 10 miles per hour behind a 130 horsepower tractor — it is a high-speed tool. 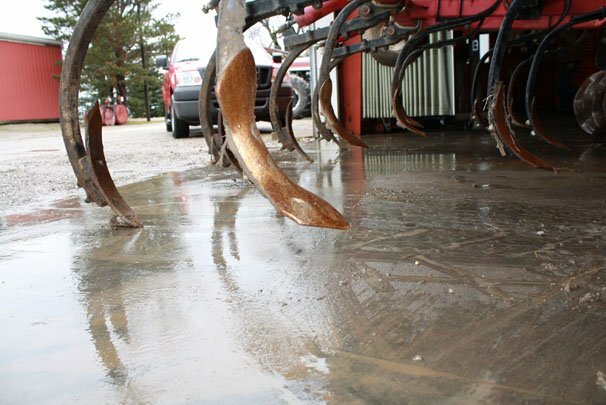 You can just cruise with it.”Sberna had his tillage tool at the 2012 Farm Science Review where he got very positive feedback on it and he has seen significant results on his own farm. The framework for the machine is done in Atlanta and it is assembled in Bellevue. Sberna was the Successful Farming and Asgrow Ag Innovator of the Year in 2010 with the Chisel Ripper. He sells it under J&D FarmBuilt for $17,500 through Ashland Tractor and is actively looking for other dealers to carry it. The Chisel Ripper is not his only invention. He’s also created a compost turner from a salvaged snowplow and a disk transformed into a finishing tool. Heather and Matt super cool. If you a back close by me or we meet up else where you lunch coming from me. Hi Jeff just flicking through looking for a bit of stuff on the net. The comment I would make to you is that if you put a leading Tyne at a shallower depth you will use less fuel and horsepower . Controll traffic is the next step for you . I has going though the old stuff that I have on the web I come across your comment. Your suggestion is on the money that is how the machine is setup it must not show up well in the Pics. Thanks for your comment I wish I would have seen it sooner. would ripping a chisel plow across your corn land increase yield? Hay Day Coins Hack created by Hay Day Coins Hack is listed under classification Lifestyle 3.6/ 5 average rating on Google Play by 35 customers).